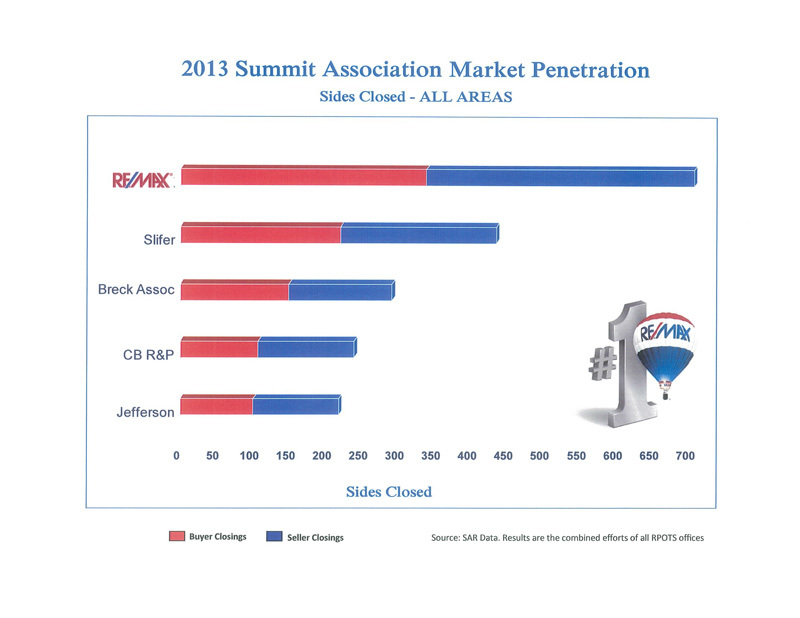 With more than 700 buyer and seller closings, RE/MAX of the Summit was once again the leading real estate agency in Summit County, Colorado in 2013. 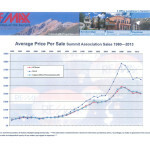 Our extensive knowledge of Breckenridge, Keystone, Copper, Dillon, Frisco and Silverthorne real estate, along with our commitment to meeting our clients’ every need, helps maintain our position as the #1 Summit County Realtor. 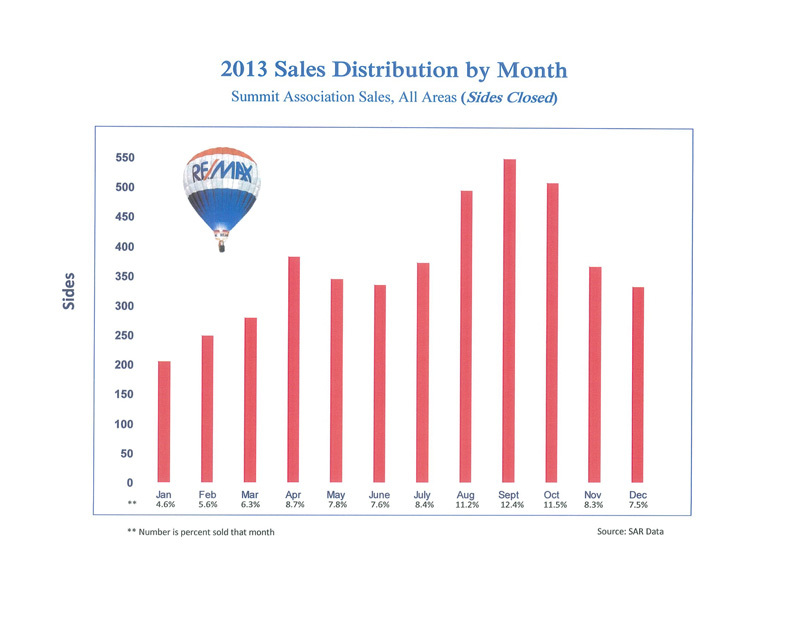 September 2013 was the strongest month for Summit County home sales, with almost 550 units sold—12.4% of the year’s total. August and October were nearly tied with 11.2% and 11.5%, respectively. 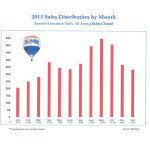 January saw the fewest sales, with just 4.6%. 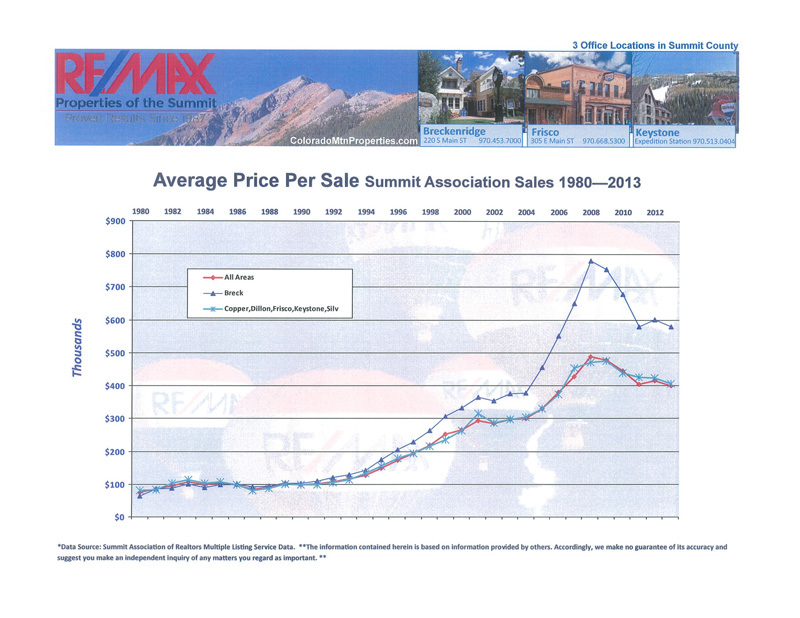 The average price per sale in Breck in 2013 was $580,000, down slightly from 2012’s median price of $600,000; the average price per sale for all of Summit County Real Estate in 2013 was $400,000 versus just over $400,000 in 2012. 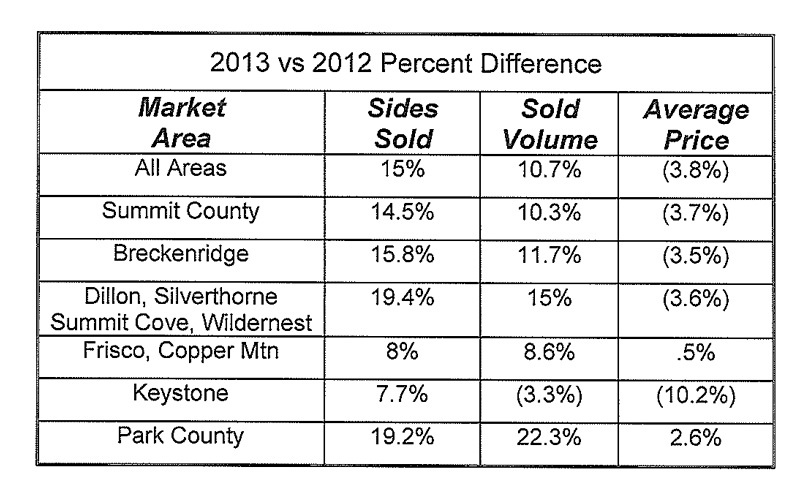 The average price of homes in all areas of Summit and Park Counties was down 3.8% in 2013 vs. 2012. 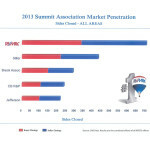 However, the sales volume of homes sold in the same areas was up from $800 million in 2012 to $900 million in 2013. 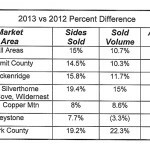 Breckenridge real estate continues to attract the majority of homebuyers in Summit County, accounting for 48% of total sales. Great skiing is just one of the reasons—homebuyers are also taking advantage of Breckenridge’s year round attractions and events. If you are interested in buying or selling a home in Breckenridge, or anywhere in Summit County in 2014, please call me at (970) 390-9311 or (970) 453-7000 today.